You are more likely not to have a job through college while you focus on your studies. This means you’ve gained little, if any, practical job experience, which is a major consideration for employers. Employers consider the likelihood that you will job-hop before you can benefit the company much. Employers don’t want to spend the money on training you if you’re going to dip out at the first opportunity. As a Millennial, however, you are statistically less concerned with pay and employers can save on getting you in the door. Getting you to stay tends to be the hard part for employers and human resources departments, and is the focus of many workplace initiatives in 2015. Employers will have to step up their game by providing meaningful work that will both attract AND retain Millennial workers. This is good news: you have plenty of options and can narrow down career paths based on what is important to you. Here are some tips for looking your best to a potential employer, both on paper and when your employer digs into your background. The following includes common background checks conducted by employers. College enrollment among recent high school grads grew to 70.1% in 2009, and 34% of your generation has a bachelor’s degree or higher. This has encouraged employers to seek highly educated workers for many positions and has increased job competition for Millennials. Applicants often falsify or misrepresent education details, and employers may verify your education with the school. Regardless of what you have or don’t have, the most important thing to remember is: Don’t lie! School/Organization/Institution legitimacy and/or accreditation – Don’t buy a degree from a diploma mill. Get an education from an accredited institution before you shell out money for a fake degree or diploma. Your major and/or courses studied. Your degree/certification earned – Don’t put Master of Arts on your resume if you only earned a Bachelor of Arts, or Associate of Science when you actually earned an Associate of Arts. Your dates of attendance. Even if you didn’t graduate, college attendance can be valuable to some employers. Your graduation status and date – Make sure you don’t have a hold on your account that keeps the institution from releasing your records. You may have earned a BA, but if you owe the school money, they might not verify your degree. You might enter the job market with little or no work experience and find it difficult to land your dream job. Don’t be too disappointed: unemployment is only at 5.3%, so someone else may currently have the job you want. 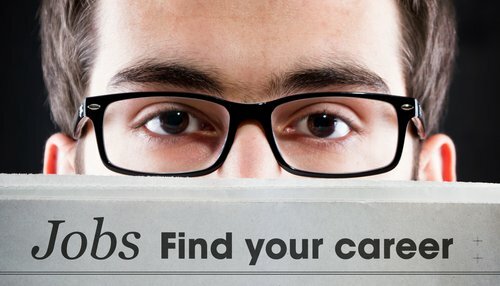 Take the internship/entry-level/low-paying/co-op position. Some experience is better than no experience, and any job in or near your desired field will at least give you the opportunity to learn and work/transfer/move your way up. Take contract/temporary/seasonal gigs. You’ve probably heard the term ‘sharing economy’ all over the place, which means there are plenty of opportunities in short-term and part-time work. Capitalize on these quick gigs while you beef up your resume for your next move. Get certified. Any achievement you can put on your resume is going to look weak unless it can be verified. ‘Experienced in Excel’ no longer means anything, so go online or down to your local community college and get a certification. Volunteer. Free work looks better to a potential employer than no work. Also, volunteering speaks to your values, which are becoming more important as businesses cultivate or embrace Corporate Culture. Recent Ban-the-box legislation prohibits employers in many jurisdictions from asking about criminal history on an initial application. Once you get past first impressions, though, you may have to navigate criminal questions. If you have a criminal past, don’t lie about it to a potential employer. They may find out anyway during a criminal background check, so lying will only make you seem untrustworthy. Come clean about your record because admitting your mistakes shows more integrity than lying about them. Explain what you’ve done since, such as rehabilitation efforts, classes, support groups, volunteer work, etc. Bettering yourself shows commitment and diligence, which are desirable qualities in an employee. Tell your interviewer why he or she should consider you for the job. Highlight your strengths. Talk up the challenges you’ve overcome and how you did it. Clearly communicate what benefits you would bring to the organization if hired. Keep it clean! Potential employers may check your social media, so don’t post anything offensive or damaging to your reputation. Employers may consider indecent social media posting as a risk to their reputation. You should also watch your driving and money. Employers hiring for driving positions will usually check your Motor Vehicle Record. Those hiring for finance, banking, and money-handling positions might run a credit check on you. Approximately 80% of employers run some kind of background check on potential employees. Your best chance at getting your dream job may depend on how well your background competes against candidates much like you. 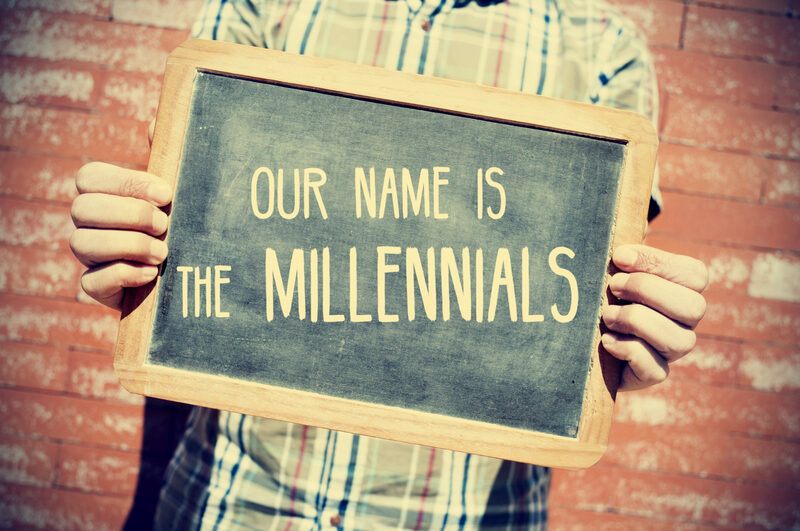 Are you a millennial? You may also like: How Millennials lose out on Dream Jobs Due to their Education. Do you have any advice for Millennials in the job market? Share your advice with me on social media. InfoMart is an industry leader in background screening services, providing businesses the information they need to make well-informed hiring decisions. With more than 26 years in business, InfoMart is a pioneer in developing innovative technology and screening services, from criminal history searches to verifications of employment. Accredited by the National Association of Professional Background Screeners (NAPBS), a designation earned by less than 10% of the industry, InfoMart has been recognized on Workforce Magazine’s Hot List of Background Screening Providers for 10 consecutive years. The company prides itself on its dedication to customers, innovation, and accurate reporting. For more information about InfoMart, please visit www.infomart-usa.com or call (770) 984-2727.